Hello! 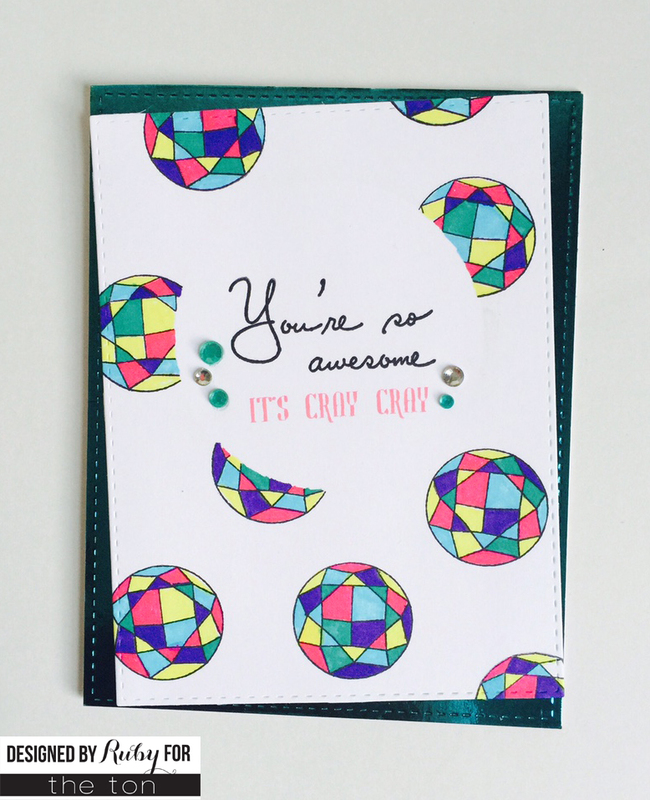 Rubeena here with a colorful card using Round Diamonds and It’s Cray Cray. First, I cut out white cardstock slightly smaller than size A2. I die-cut a circle mask and taped it down in the center. I took the largest diamond outline and stamped it a few times using Ranger Archival Ink in Jet Black. You may have noticed the latest craze in coloring tools is Zig Clean Color Brush Real Brushes. I used a few colors from my set of 60 colors to color in the diamond outlines. They are so vibrant! The colors I used were 42 Turquoise Green, 36 Light Blue, 80 Violet, 25 Pink, and 51 Lemon Yellow. Once I finished coloring, I removed the mask. 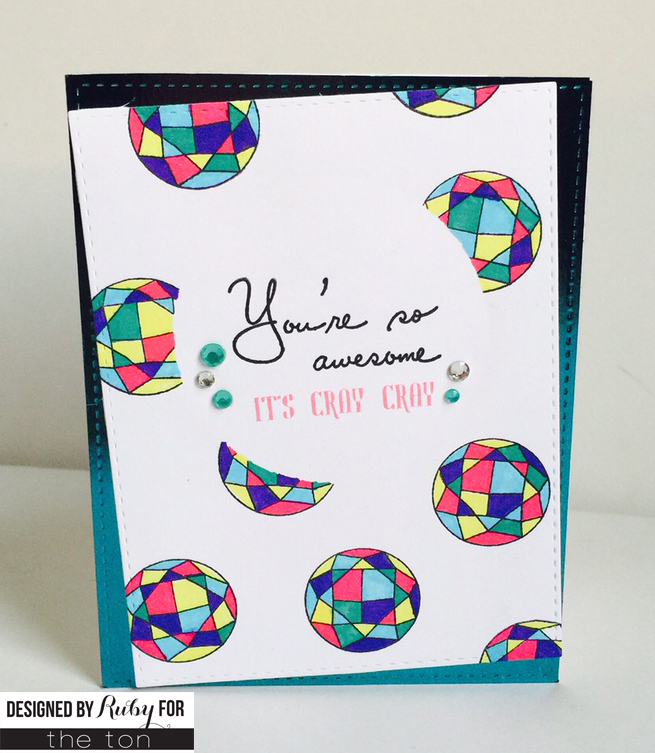 I stamped the “you’re so awesome” sentiment using the same black ink as the diamond outlines. The phrase ‘it’s cray cray” was stamped using Altenew’s Crisp Ink in Coral Berry. I added a few gem embellishments to match the colored outlines. In the background, I added a foil sheet that matched the embellishments and outlines. The white cardstock piece was added with foam tape for dimension. Hope you liked my card for today! Thanks for stopping by. oh wow!!! Soooo in love with this!